Spaccanapoli is the straight and narrow main street that traverses the old, historic center of the city of Naples, Italy. The name is a popular usage and means, literally, "Naples splitter". The name is derived from the fact that it is very long and from above it seems to divide that part of the city.Quest'arteria has ancient origins: it is one of the three decumani (the one closest to the sea) in which the Romans, based on the Greek construction, organized the city. Walking Spaccanapoli time seems to slow down and speed up along with your steps, taking you by the hand along the thousand-year history of the city. 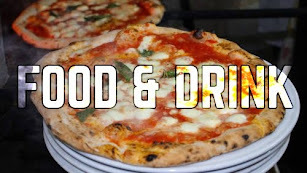 Here there are only the old buildings, churches, but also the legends and the unmistakable odor of Neapolitan cuisine. Do not be surprised by anything along the way you will meet Spaccanapoli splendid churches and families living in low-craftsmen and artists abusive selling everything. For some 'years of small hotels and bed and breakfast have arisen along the way, allowing tourists to Naples to live just like the Neapolitans. Spaccanapoli is a narrow gut, where Neapolitans, tourists and scooters coexist, not very peacefully. But there is a place in the city that can better tell the soul of Naples, its essence is revealed here that no tricks. At the end of 1500, the news of the possible visit of King Philip III in Naples, created quite a stir. The capital of the Viceroyalty, in fact, had no place to house the most powerful man in the world. After endless thoughts, the viceroy Don Fernando, ordered the construction of a residence for the distinguished guest. The Royal Palace was commissioned to Domenico Fontana in 1600, which gave it after only two years, although not completely finished. Too bad, that the capricious King Philip III changed his mind without warning: put off his visit to Naples to date. You who are the luckiest of the King, visit the Royal Apartments, the Royal Chapel, the gardens and the Teatrino court. Mai: every Wednesday, December 25, January 1, April 25 and May 1. How much: full € 4, reduced € 2. How: from the central station, bus stop R2 with San Carlo. From Capodichino, Alibus Piazza Municipio stop. Before riding school and the University, the Archaeological Museum of Naples was opened in 1816 and today is one of the most important in the world for the quality and quantity of works that guards. King Ferdinand IV in Naples wanted to create an impressive institution for the arts and, after more than two centuries, we can say that his ambitions have been realized. 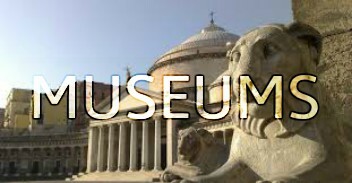 The Archaeological Museum, in addition to containing the findings of the excavations of Pompeii, houses finds from the greek-Roman, Egyptian and Etruscan antiquities collection Borgia and ancient coins from the collection Santangelo. Do not miss the "Secret Cabinet" which contains frescoes and ancient sculptures on the theme of eroticism. Forty meters below the characteristic and lively streets of the Historic Center of Naples, you find a different world, unexplored, isolated by time, but deeply connected with the world above. It’s the heart of Naples, and the place from which the city was born. To visit it is to travel to the past, a world 2400 years old.Every historic epic, from the foundation of Neopolis, to the bombs of WWII, has left it’s mark on the walls of the yellow tufa stone, the soul of Naples, and the stone with which the city was built. In Piazza San Gaetano, 68. Blue and white flags highlight the entrance. We have english tour every day from 10 a.m. to 6 p.m. every 2 hours. The origins of the Sansevero Chapel are closely connected to a legendary incident. Cesare d’Engenio Caracciolo tells in his Sacred Naples of 1623 that, in around 1590, an innocent man who was being led to prison in chains passed before the garden of the di Sangro palace in Piazza San Domenico Maggiore, and saw a part of the garden wall collapse and an image of the Madonna appear. He promised the Virgin Mary to offer her a silver lamp and a dedication if only his innocence might be recognised. Once released, the man was faithful to his vow. The sacred image thus became a place of pilgrimage and prayer, and many other graces were received there. The Veiled Christ is one of the most fascinating and mysterious that you can see in Naples. 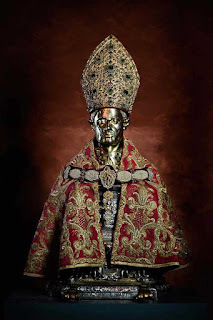 It is said that the veil of marble on the body of Christ, is actually a veil fabric, turned into rock by a special liquid invented by the sinister Prince of San Severo, famous alchemist. Many, however, argue that the surprise effect is all the result of the talent of Giuseppe Sammartino, the sculptor who created the Veiled Christ. The discovery of a secret room and some macabre works, visible in the Chapel of San Severo, have helped to give the Prince and the Veiled Christ aura of mystery. The Chapel is worth a visit not only for Christ but also to the other works in this little gem hidden in the streets of Naples. Next to the Cathedral of Naples, under the arcades, the Museum of the Treasure of San Gennaro exposes one of the most important artistic and cultural heritages in the world comparable, if not superior, to that of the Queen of England crown. Invention, popular devotion, religiosity, spectacle: all this and more includes the exhibition of the Museum of the Treasure of San Gennaro, which today can be admired intact thanks to the meritorious work of the Deputation, the lay institution that represents the City of Naples, who commissioned, selected, kept and preserved intact over the centuries. Extraordinary gifts of inestimable value of sovereign popes, royalty, celebrities and ordinary people are interspersed with masterpieces commissioned by the Deputation to beautify and enrich the Neapolitan Chapel dedicated to their patron saint and today document the extraordinary ability to sculptors, silversmiths and Neapolitan goldsmiths who have been able to combine technical knowledge and creativity. Parco Virgiliano (the Park of Remembrance) is a scenic park located on the hill of Posillipo, Naples, Italy. 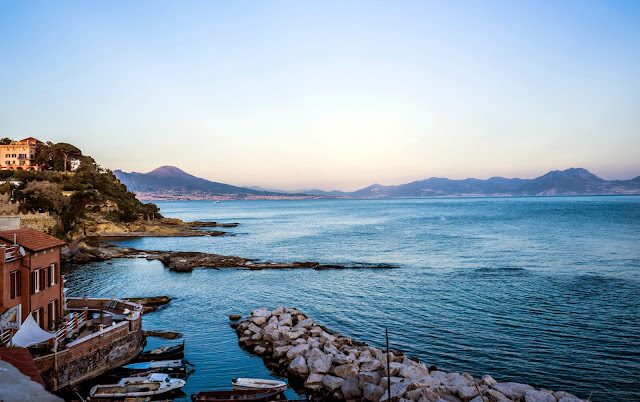 The Park serves as a green oasis, built on the tufa stone typical to the coast of Posillipo. The park offers several playgrounds designed for children of various age-groups, as well as many kiosks which during the summer nights are often packed with youngsters just relaxing. The park also has a small amphitheater, where events are organized in the summers. The old Bourbon Royal Palace which houses the Museo di Capodimonte, is one of the most beautiful green spaces in all of Naples. The museum contains some works of great masters of painting, such as Botticelli, Goya, Titian and Caravaggio. Walking through the spacious rooms of the palace, decorated as if the Bourbon family had left the house just before your entrance, takes you back in time. Along the 110 rooms and three floors of the Museum of Capodimonte, winds a path that starts from the main floor with the Farnese Gallery and the Royal Apartment, continues on the second floor with the Neapolitan Gallery and concludes with the nineteenth-century collection and that of Art contemporary. Capodimonte is the only museum in the world where ancient art alongside contemporary. Among the collections of numismatics, ceramics and precious vestments, the Capodimonte Museum offers a wonderful snapshot of Naples that was. When: Daily from 8:30 to 19:30. Never: every Wednesday, January 1 and December 25. How: the airport of Capodichino, Alibus to Piazza Municipio and bus 63 C or R 4. Metro line 2 Cavour stop and then bus 178 or 201 or even more and M2 Line 2 Montesanto stop and bus 63 or R4 C.
It is the oldest opera house in Europe still active, having been founded in 1737, and one of the most spacious theaters Italian peninsula. It can accommodate more than two thousand spectators and has a wide audience (22 × 28 × 23 m), five tiers of boxes arranged in a horseshoe over a large royal box, a gallery and a stage (34 × 33 m). Given its size and structure, was the model for the following theaters in Europe. 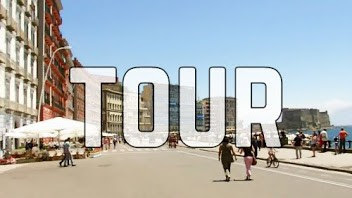 Looks out onto the street and, laterally, Piazza Trieste e Trento, the theater, in line with the other great architectural works of the period, such as the great royal Bourbon, was the symbol of a Naples remarked that his status as a great European capital . The Charterhouse was enriched over the centuries of an artistic, historical and architectural highly prestigious, between marble and stucco, frescoes and paintings, sculptures and precious furniture. The Neapolitan Republic of 1799 changed his destiny: the brothers accused of republican sympathies, were expelled from the monastery, which after various events, the Unification of Italy, was finally suppressed. The wealth of art treasures united all'incatevole location have made the monastery a favorite, since '500, men of letters, and eduditi travelers. Through the trails you can visitiare objects grouped by the museum's collections in terms of the criteria and to the laws exhibition (topographical, historical, collectable). It 'a medieval castle, now a museum, situated on the hill of Vomero, in Naples. It was once called Paturcium and stands in the place where there was, in the tenth century, a church dedicated to St. Erasmus (hence Eramo, Ermo and then Elmo). This imposing building (the first castle by extension of the city), in part derived from the rock (Neapolitan yellow tuff), stems from an observation tower called Norman Belforte. Because of its strategic importance, the castle has always been a coveted possession from its position (250 m above sea level) you can control the whole city, the bay, and the roads that lead from the hills surrounding the city. Today the castle, as well as permanent museum, the "Naples twentieth century", is also home to various temporary exhibitions, fairs and events: from 1998 to 2011 during the spring was the seat of the Napoli Comicon (from 2012 that moved to the Show d 'overseas).